Description: 22-42 in. 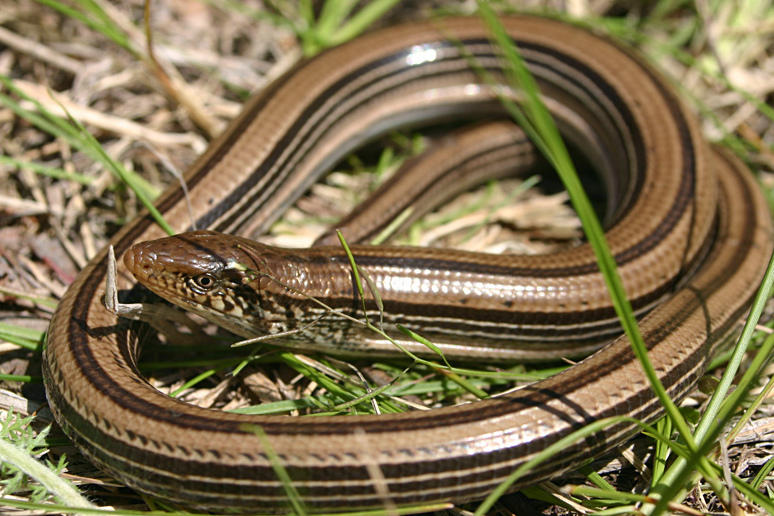 (56-106.7 cm) As their name implies, slender glass lizards are generally skinnier than the similar eastern glass lizard. They also have narrow, dark longitudinal stripes below the lateral groove, down the center of the back, and under the tail. Background color is usually brown or yellowish with irregular crossbands on the back and tail. The young are boldly striped, while adults, particularly males, may become flecked as they mature. Feeding/Diet: This species has been known to eat arthropods, snails, small lizards, and small snakes. 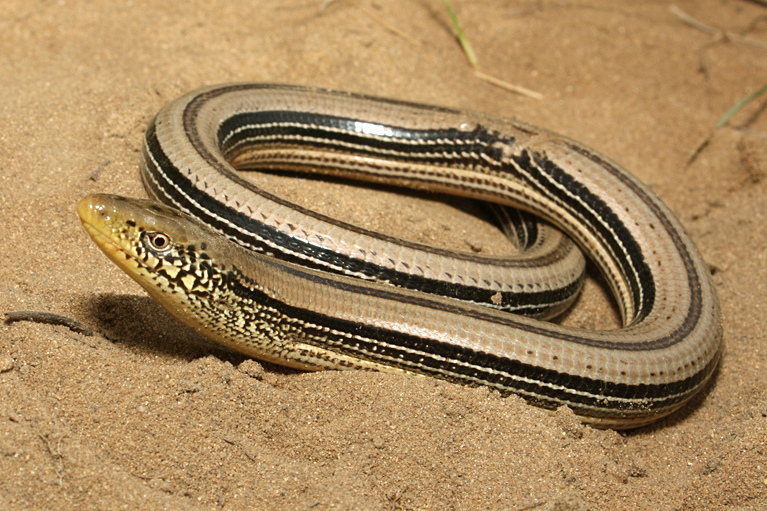 Unlike snakes, glass lizards do not have flexible jaws and thus cannot consume prey items as large as snakes of similar size. 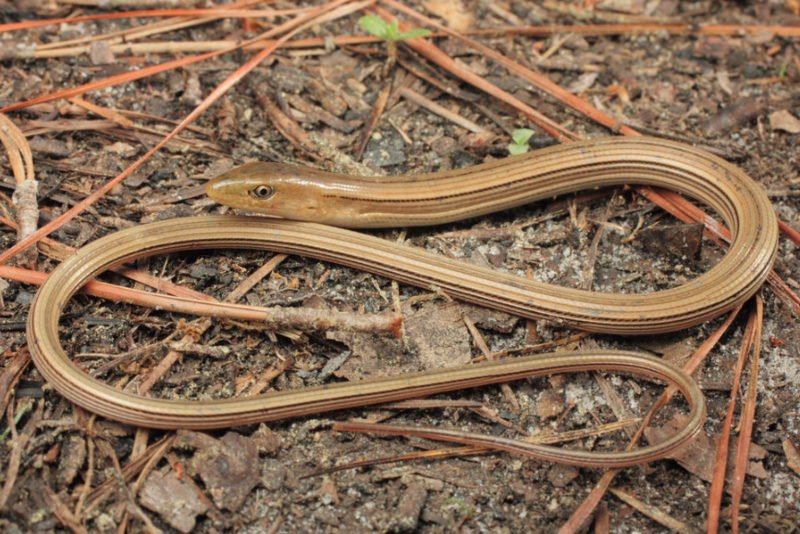 Habitat/Range: The slender glass lizard is commonly found in the Coastal Plain and southern Piedmont of North Carolina. They are most common in old fields, and dry, sandy woodlands. Reproduction: Nests are found in sandy areas and usually contain from 5 to 9 eggs. Miscellaneous: The slender glass lizard is a legless lizard and is often mistaken for a snake. However, unlike snakes, glass lizards have movable eyelids and external ear openings. 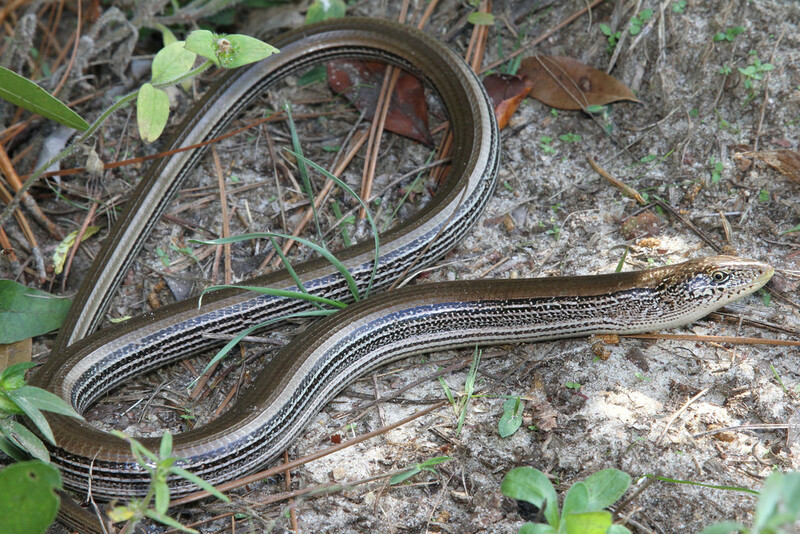 Slender glass lizards are very active and when restrained often thrash and break off their tail. This propensity to “shatter” is the origin of the name glass lizard, and adults with perfect tails are rare. Once detached, tail fragments continue to writhe for several minutes, distracting predators and allowing the lizard to escape. The tail is later regrown. 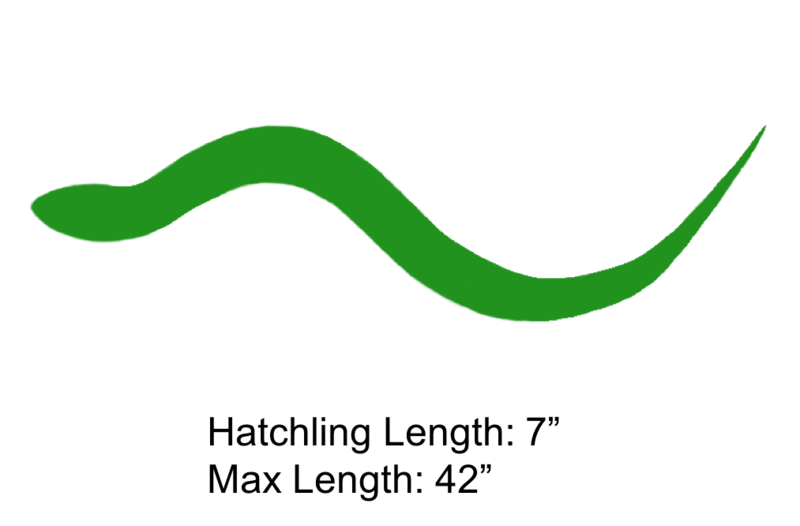 The shaded region represents the range of the Slender Glass Lizard in North Carolina.